Ronald J. Gerola (Ronnie) has been with West Valley's Associate Faculty since the late 1980's, teaching engineering and computer science courses along with his career in industry. In addition, he has guest-lectured other classes, mentored aspiring students on technology career paths, and has received student-sponsored teaching awards. He holds BS, MS, and Doctorate degrees, is a Licensed Professional Engineer in multiple states, is a Certified Project Management Professional, a Certified CSM for Agile software development, and carries additional technical and academic credentials. Cultivating new talent for Silicon Valley's workplace and improving our nation's global competitiveness has always been one of his primary passions. Dr. Gerola brings a career of leadership and innovation to West Valley from his 33 years of professional experience in over twenty countries on four continents. He has held key roles across diverse industries on major technical projects at Exxon-Mobil, Lockheed-Martin, and IBM, including the Alaska pipeline, alternative energy systems, space shuttle payloads, and enterprise information architecture. 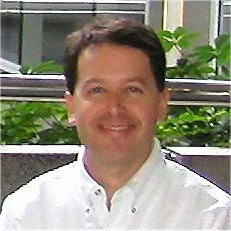 His academic research has focused on ways in which humans process semantic concepts as they solve technical problems, and he has been an elected Board Member of the Silicon Valley Chapter of the International Society for Performance Improvement, a network of professionals focused on results-oriented execution in the workplace. Currently, Ronnie serves as an IT Project Manager with Cognizant on projects which transform an organization's technology environment through virtualization and cloud technologies. He is also an instructor at University of California Berkeley Extension in the Project Management Certificate Program. In his free time, Ronnie can be found mountain biking or hiking with his wife Andrea and sons Jesse and Josh. A list of semester-length classes he has instructed within West Valley's Engineering Department appears below.